Parent Preparation: Mark 1:1-8, Matthew 3:1-12, John 1:25-31 Luke 1:16-17, 76-79, and Luke 3:1-18. Prepare with prayer. For further reference: The Acceptable Year of the Lord” 3.1. "Walking In God's Power Intermediate Class Student Study Guide" Appendix 2.5. John the Baptist was a prophet. He spoke for God. 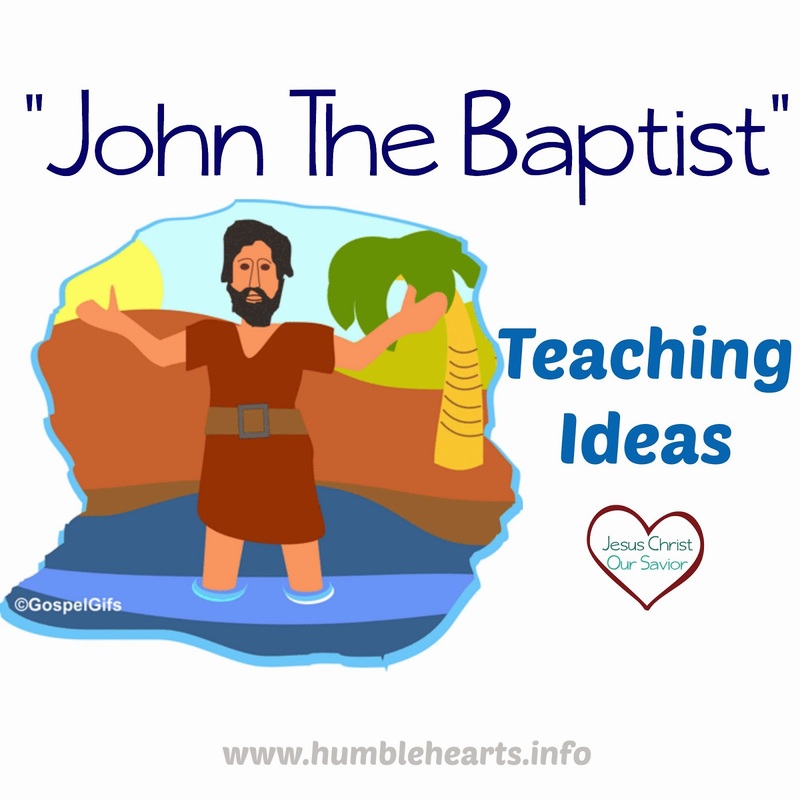 John taught the people that someone was coming that would baptize them with Holy Spirit. Who was he telling them about? Jesus Christ! John wore clothes made from camel’s hair. He wore a leather belt. He ate locust and honey. People came to hear what him preach in the wilderness by the river Jordan (show on map, west of the Jordan river near the southern end of the river). He prepared the way for people to see the salvation of God. (read Luke 3:15) People wondered whether John was the Christ. Ever since Adam and Eve sinned (show the front of a children’s Bible), people had been looking for the Christ. This was a long, long time. John said that someone comes after him who is mightier than John. Who was he talking about? Jesus Christ! Jesus Christ was going to make it available for people to be 1. body 2. soul and 3. spirit. 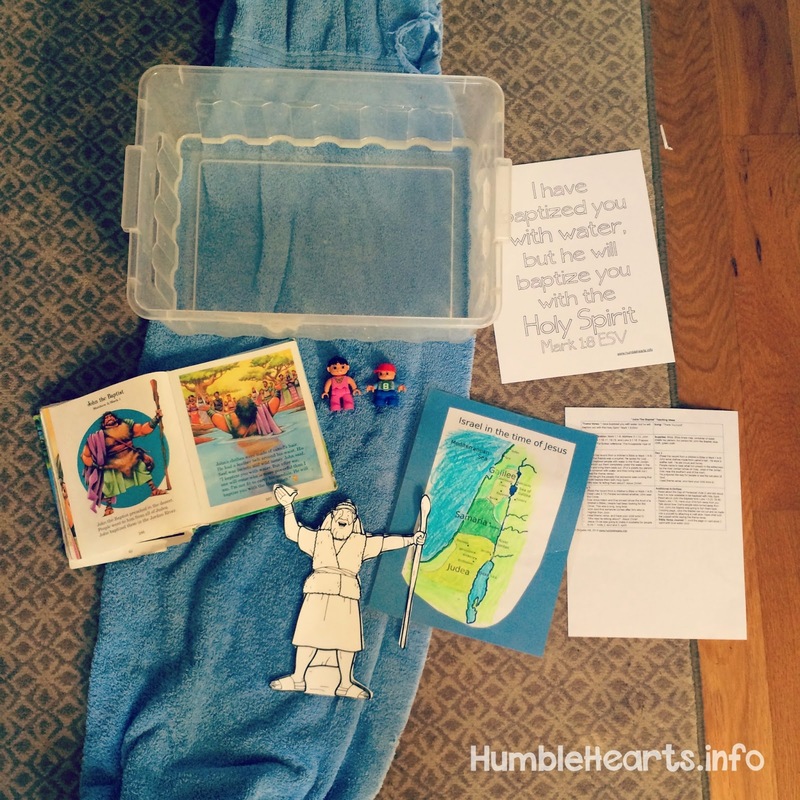 Read about the Day of Pentecost (Acts 2) and talk about how it is now available to be baptized with Holy Spirit. Read Luke 1:16. Have your child turn away from you. Talk about how God’s people were turned away from God. John the Baptist was going to turn them back. 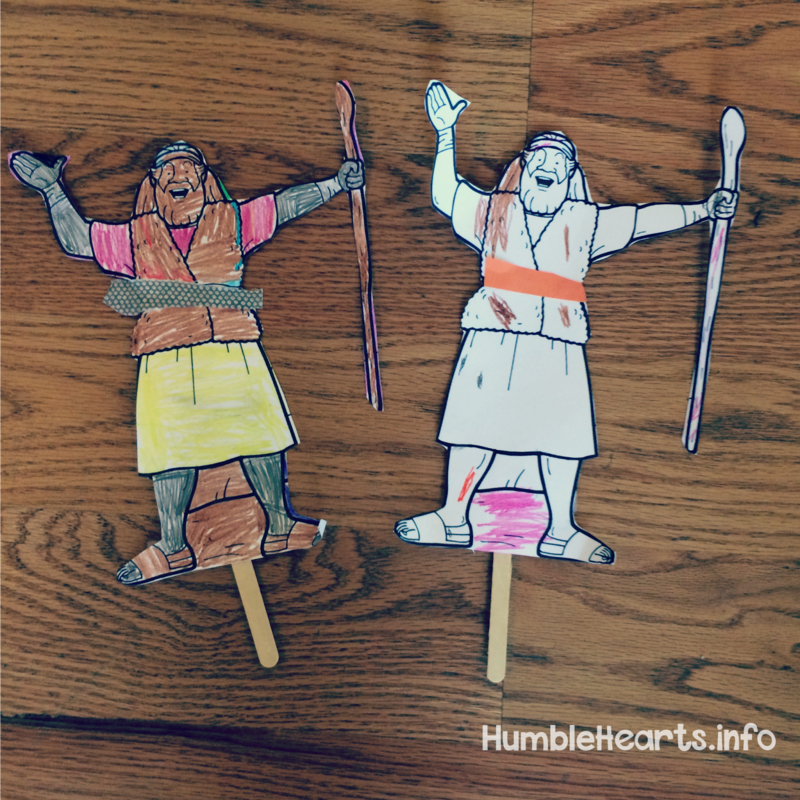 John the Baptist Puppet: cut out John from a coloring page. Color. 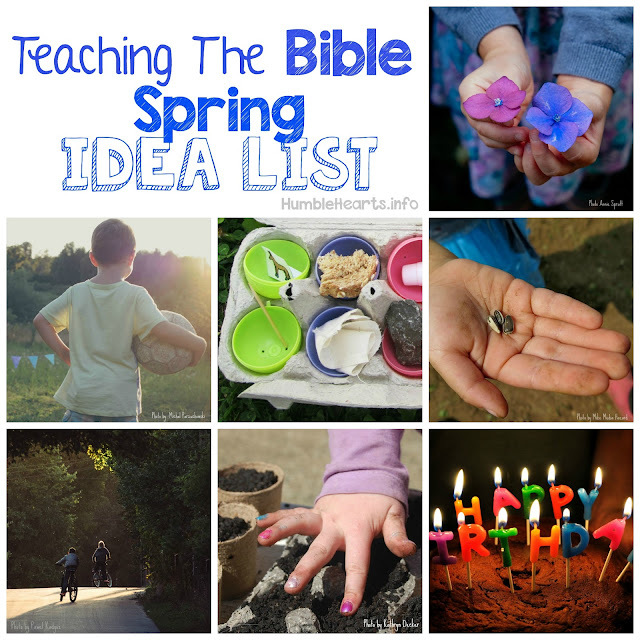 Attach a craft stick by glue or tape. Have your child hold the puppet while saying the theme verse. I used a coloring page 169 from The Really Big Book of Bible Story Coloring Pages. There is also this one. "This Is My Beloved Son"